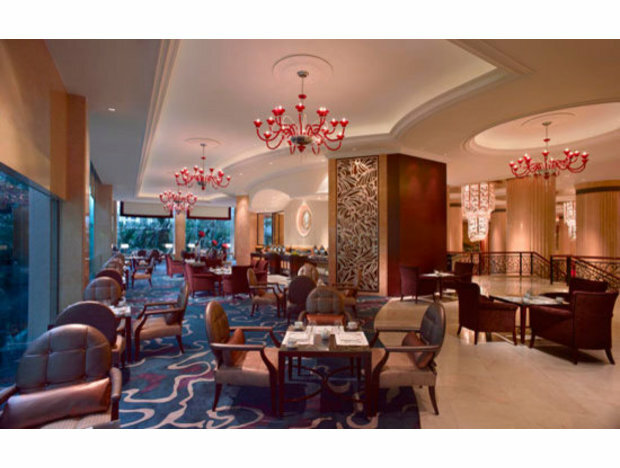 10 Scotts, is the place to go at the Grand Hyatt, for afternoon tea – or high tea as they call it. 10 Scotts is just one of the hotels five dining options. The setting is cosy and informal, but elegant. They seem to be aiming for a modern but homely setting basing the restaurant on a house theme – albeit a very grand one. We were sat in the ‘verandah’ which is apparently right by the five metre waterfall (sorry, we didn’t really notice it, just looked like a water feature outside the window), but you also could sit in the dining room, living room or library.The library looked like a cosy place to be and somewhere I’d definitely head to if I wanted a quiet chat with a good friend over a cuppa to escape the hustle and bustle of nearby Orchard. Our table, with comfy chairs and benches and squishy cushions was nice and big with plenty of room for pots of tea and trays of scones. As I arrived after some of the party I was unaware that there was the option of a buffet AND the tray of high tea goodies at the table. In fact, those that were already there weren’t sure either. I was immediately offered a wide selection of tea and coffee to choose from. I opted to start with good old English Breakfast as hadn’t had my fix for the day. The pots were complimented on as there was no annoying drips or spillage as you poured. 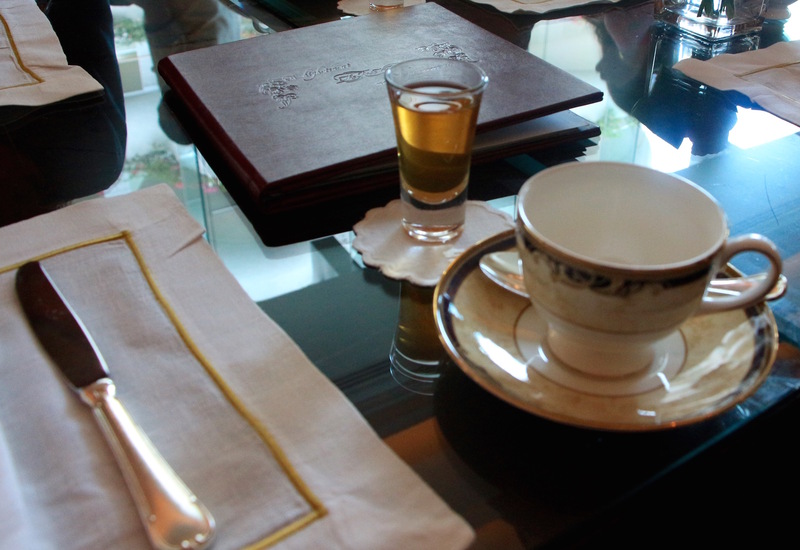 Although for me, tea should be served in a china pot. * Yes, I know this sounds picky, but sometimes it’s the little things that make something stand out from the crowd. 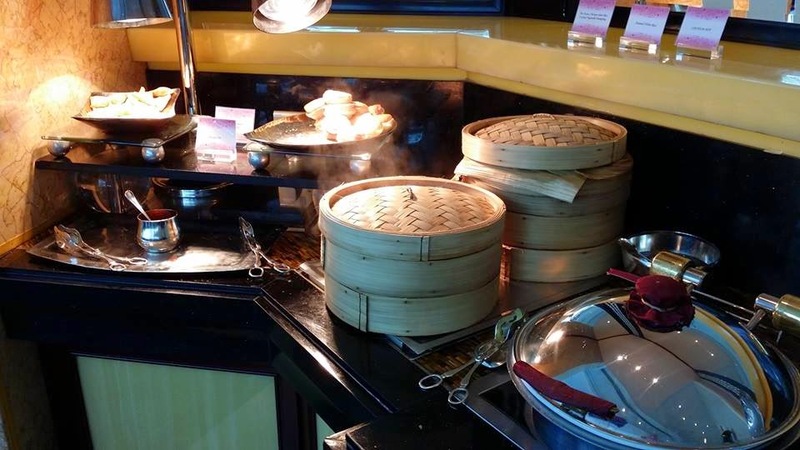 After a little confusion over whether we should go up to the buffet or wait to be served, we were brought a two tiered stand full of interesting asian inspired delicacies. 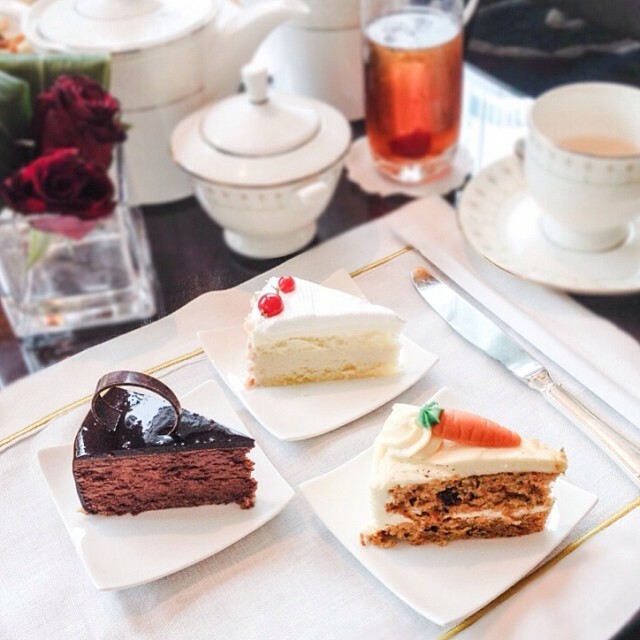 This is definitely not your typical afternoon tea. The crab cakes were a hit. On offer were curry puffs, baba ganoush and crab cakes, Singaporean spring rolls; along with tiny smoked salmon sandwiches and a modern twist on the ham and cheese sandwich, as well as a few canapes. Everyone agreed the crab cakes were delicious, as were the curry puffs. In fact, all of the treats were flavour full and there was a good selection. You are also served warm (nice touch) scones with jars of clotted cream, raspberry jam and kaya jam. The scones were gorgeous – soft and buttery with the right amount of sultanas for me. I forgot to try the kaya jam, which is a shame as I’m sure it would have worked well. But, the raspberry jam and cream hit the spot perfectly. 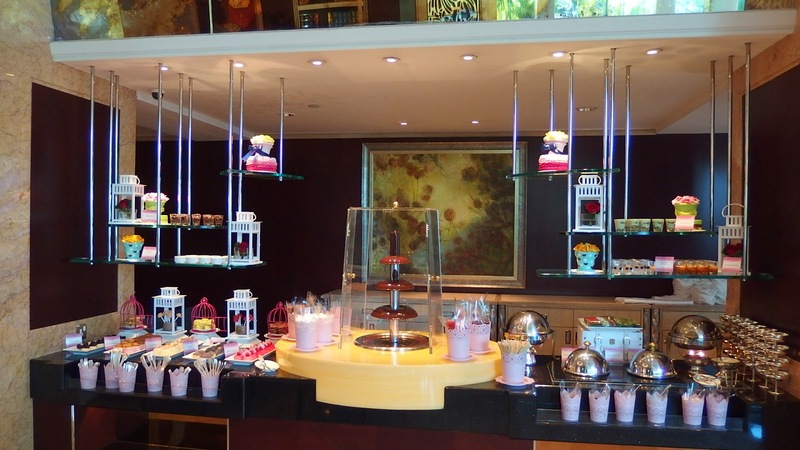 The buffet – is this lunch or afternoon tea? 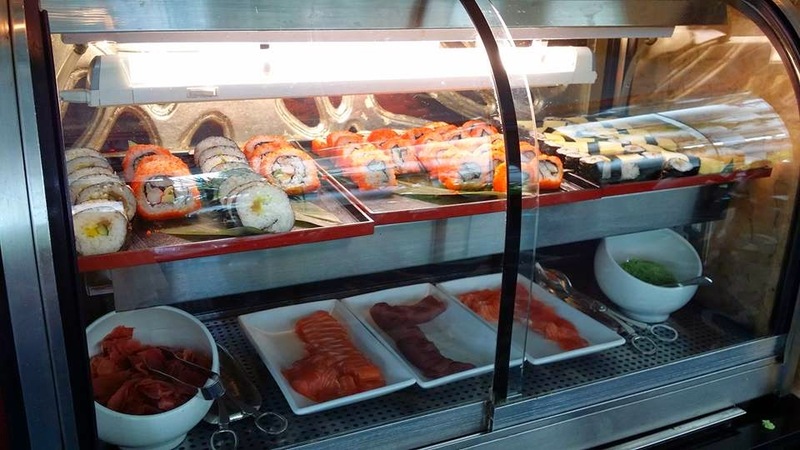 The buffet – which you can have as well as all of the above – offered a strange mix of curry, bread and cheese, cold cuts, treat size custard tarts (yummy), macaroons, chocolate mousse and other sweet treats. It felt more like a small lunch buffet than an afternoon tea, and for me, I don’t think it worked. It was as if they are trying to cater for two things at once. My friends agreed, this wasn’t the traditional British afternoon tea any of us were expecting. Although the non Brits amongst us weren’t really sure what to expect. However, it is great value for money. 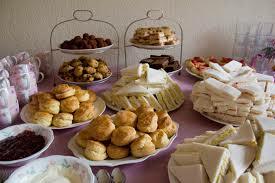 The staff are happy to keep topping up the stand and you can help yourself to the buffet as often as you like. For another twenty bucks (ish) you can get free flow champagne too. A few of us were driving so we stuck to the tea and coffee. Next time though! The service was a tad slow. A few times when we needed something no-one was around to help. They were also a little shy in explaining exactly how the afternoon tea worked. (If we’d known the buffet was included we would have tried that out first and then had the tray maybe?) Overall we had a lovely afternoon. We were surprised at the time when we were asked politely to vacate our table for the second sitting. 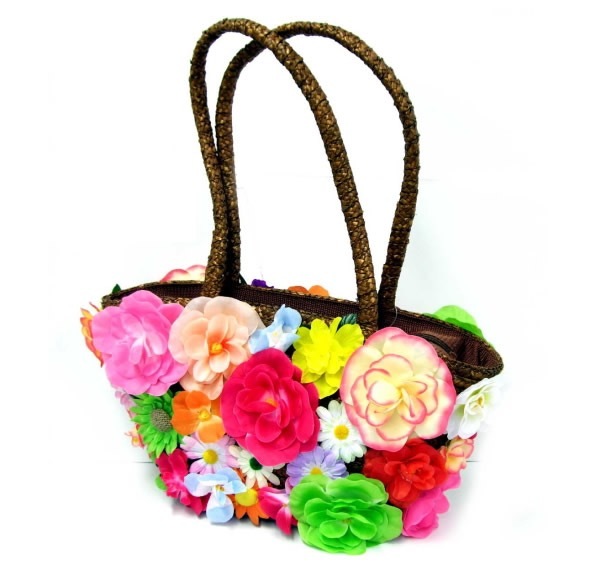 But, as this was our first outing as Handbags and Teabags we were frugal with our praise. 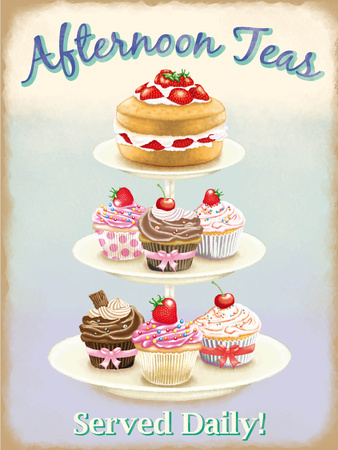 Watch this space to see if our next afternoon tea will hit the mark. $43++ per person. More for free flow champers.